One of the most obvious observations is that there is a lot of King James Bible language in the Book of Mormon. Most obvious are the large portions of Isaiah, Malachi, and Matthew. There are also well known references to New Testament passages concerning the gifts of the spirit and faith, hope, and charity or matching phrases like “grace is sufficient”. It’s not just the doctrinal aspect of this, there are common style elements like “it came to pass”, date formats “first day of the second month”, “now I say unto you”, “behold”, “ye shall”, etc. This all well understood. What I’d like to illustrate in this post, is the depth of crossover between KJV and BOM. Thousands of 3-gram, 4-gram, 5-grams interspersed all through the book. Excluding the large quoted portions of Isaiah, Malachi, and Matthew, there are 10,317 four word n-grams that match BOM to KJV. 10,317! Those were used average of 3.0 times each for total instances of 31,0140. This is an example where I believe Joseph Smith (or Mormon who according to one theory might have had access to the Hebrews text) took the Hebrews text and expanded it, making it doctrinally more clear. Another example is 2 Nephi 9: 5-7 as exegesis of 1 Corinthians 15. 5 Yea, I know that ye know that in the body he shall show himself unto those at Jerusalem, from whence we came; for it is expedient that it should be among them; for it behooveth the great Creator that he suffereth himself to become subject unto man in the flesh, and die for all men, that all men might become subject unto him. 28 And when all things shall be subdued unto him, then shall the Son also himself be subject unto him that put all things under him, that God may be all in all. 6 For as death hath passed upon all men, to fulfil the merciful plan of the great Creator, there must needs be a power of resurrection, and the resurrection must needs come unto man by reason of the fall; and the fall came by reason of transgression; and because man became fallen they were cut off from the presence of the Lord. 21 For since by man came death, by man came also the resurrection of the dead. 7 Wherefore, it must needs be an infinite atonement—save it should be an infinite atonement this corruption could not put on incorruption. Wherefore, the first judgment which came upon man must needs have remained to an endless duration. And if so, this flesh must have laid down to rot and to crumble to its mother earth, to rise no more. 53 For this corruptible must put on incorruption, and this mortal must put on immortality. I find it very unlikely that Jacob was performing this kind of exegesis on the King James English text of 1 Cor 15. But identifying Joseph as the conduit of this exegesis (through expansion or extended midrashic metaphor) does nothing to reduce its status as inspired and theologically valuable scripture. My analysis of BOM computer data and trends has led me to the Three Voice Hypothesis. The first half of the BOM, starting in Mosiah with Mosiah Priority, can be viewed as a combination of two clear, distinct voices. S Voice is quoted portions of the first person sermon type language of Alma, Abinadi, King Benjamin, etc. N Voice is the third person narrative, mostly Mormon. Then starting about end of Alma, a third distinct voice enters the scene and ramps up in Moroni and then maxes out in Nephi. I call this the L (Late) Voice. I wanted to see if the KJV correlated more in one section or another. I didn’t see that at all. Broken up into four quadrants O-N Original Narrative (Mos – Alma N Voice), O-S (Mos – Alma S Voice), L-N (Helaman to end and adding Small Plates N Voice), L-S (Late S Voice). The KJV 4-grams were relatively smoothly spread across all quadrants. Slightly more in S vs N and slightly more in L vs O, but not enough to be a trend. The difference in the total occurrences vs the unique 4-grams is due to the dominance of “it came to pass” in the N and in the L for both S and N.
Whoah, hold up. “a javelin at him”? Looking it up, expands the match to a 5-gram that’s pretty unique. Perplexing to me. I don’t know if this is intended literary intertexuality or subconscious or some kind of plagiariasm. This data is pretty rich with opportunity to find interesting little common phrases like this. Grant Hardy in Understanding the Book of Mormon illustrates many parallels between Book of Mormon and Bible and argues that the BOM narrators, especially Mormon, used Bible phraseology to purposefully draw out the parallel. One example is Abinadi as a type of Moses. Abinadi in his trial at King Noah’s court, directly quoted the 10 Commandments and directly referenced the Law of Moses. But Hardy shows that Mormon, the narrator, used Exodus vocabulary and phrases in the telling of this story, to help make this comparison stronger. Another example is the parallel between Nephi’s exodus out of Jerusalem and the Israelites Exodus, with common elements and text. common phrase “grace is sufficient” — This convergence may not seem as strong as it is, because the phrase “grace is sufficient” is used so commonly in our religious vocabulary, but this phrase “grace is sufficient” appears in exactly one verse in the Bible and exactly one verse in the BOM. The Book of Mormon is Another Testament of Jesus Christ. These parallels show the Book of Mormon as a second witness, whether they are calculated by God from the beginning, teased out by the narrators like Mormon, illustrated by God through the revealed translation, or constructed by Joseph Smith. The Book of Mormon contains numerous chapters that are (mostly) blocks quotes from the KJV Isaiah, Matthew, and Malachi. Using my database, this works up to be about 17,500 of the roughly 267,000 total words in the BOM, or 6.6%. 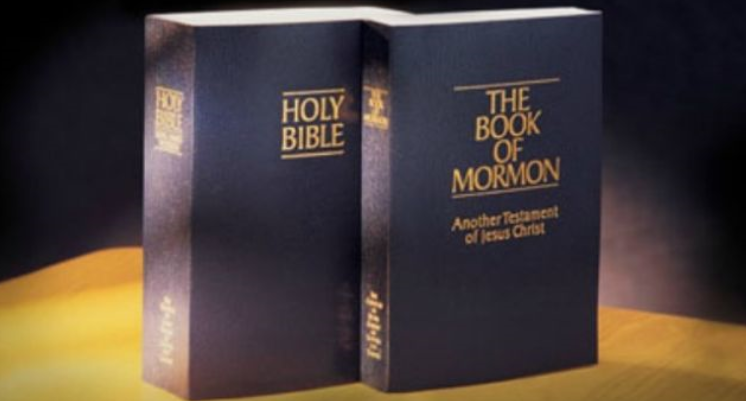 I have heard criticism that goes like this: “the Book of Mormon is just a bunch of chapters quoted from the Bible and then some other random stuff to fill in the gaps.” Well the gaps are approximately 496 pages of material in the current English edition of the Book of Mormon! But new scholarship, coming from Joseph Spencer among others, is showing the complexity and the “theologically interesting” aspect of the inclusion of these block sections. Spencer’s insights into the Isaiah chapters are profound. Here’s my little contribution to this work, related to the Malachi portion, which I hope to put more detail to in the future. I see 3 Ne 11-27 as an extended metaphor on giving a group of people the same experience Jesus’ followers and disciples had in the New Testament. There are the healings and miracles, the blessing of the children, the quoted portion of his most important NT sermon, the experience of taking the sacrament together, the focused instruction to the twelve, and so on. The author is trying to touch on all the major aspects of the Gospels in this passage. So why waste time quoting Isaiah and Malachi? One of the most touching stories of Jesus in the NT is the account of the walk to Emmaus with the two unnamed disciples. In Luke 24:27, a key part of this walk was that Jesus took the scriptures from the beginning and expounded them. The author of this passage wants to show us that Jesus was giving these Nephites the same experience he was giving those in the New Testament. This point is the one that strikes me the most as I have done this study and looked at my computer data. There is a startling amount of KJV phrases in the BOM. It’s not just one phrase occasionally. One single verse could have obvious references from several KJV verses from different areas of the Bible. In these two examples there are 6-7 each. 31 Yea, every knee shall bow, and every tongue confess before him. Yea, even at the last day, when all men shall stand to be judged of him, then shall they confess that he is God; then shall they confess, who live without God in the world, that the judgment of an everlasting punishment is just upon them; and they shall quake, and tremble, and shrink beneath the glance of his all-searching eye. The Book of Mormon regularly combines short snippets from different parts of the King James Bible and combines them into a new verse. Royal Skousen said the following on this topic in his 2016 FairMormon conference presentation, which of everything in this blog post is the most insightful to understand the BOM text. There’s another more interesting part that needs to be considered about the King James Bible, there’s all this phraseology in the Book of Mormon text which is sort of taken from different parts in a given passage, just woven together, it isn’t like somebody is taking something like looking at Hebrews and I’m going to make a little midrash on Hebrews and make a little comment and throw it in the text, it’s just phraseology that just happens to show up in Hebrews, and it is being used in a way that’s different than it’s being used in Hebrews, then there’s something from Exodus in that same passage, a little phrase, and it’s woven, and it’s like somebody that’s translating this knows that King James text so well and it can just use it. It isn’t like Joseph Smith spending all night whipping through his Bible looking at this and that and putting it together. Yes! That’s what I’m trying to say. 2 Behold, will ye believe in the day of your visitation—behold, when the Lord shall come, yea, even that great day when the earth shall be rolled together as a scroll, and the elements shall melt with fervent heat, yea, in that great day when ye shall be brought to stand before the Lamb of God—then will ye say that there is no God? If I were to give you an assignment. Take six verses from different books in the Bible. Combine little snippets of each of these into a coherent new verse. That might be harder than you think. Or at least more time consuming than if you just had the assignment to make up a verse of scripture. Some look at this data and theorize that it is unreasonable to think Joseph Smith knew the KJV this well to pull this off like this. An alternative theory that has been creeping around the Mormon world lately is that William Tyndale, of the KJV translation committee in the 16th century, could have been involved with translating the BOM, possibly even in the Spirit World. The theory’s a bit outlandish. But the reason the theory is even dreamed up is notable: it’s brainstorming to come up with a reason for how and why this KJV language is so woven together throughout the BOM. In some ways it’s quite precise—the various parts of the narrative are carefully composed and fit together in complicated ways—while in other ways the translation had to have been rather free, particularly with regard to nineteenth-century concepts and language, including the pervasive phrasing from the King James Bible. When I encounter anachronisms, I don’t automatically think “Joseph must have been a fraud”; instead I ask, “What else could this mean?” Perhaps the God of the Book of Mormon loves intertextuality and wordplay; he certainly wasn’t overly concerned with regular grammar. Like a lot of my other posts analyzing the text of the Book of Mormon, I’m not sure what to conclude. I believe all of this suggests Joseph Smith had an integral part of the creation of the Book of Mormon and use of phrases and language. I don’t think it proves it’s not historical. I think nothing here weakens historicity, especially when considering an “Expansion” model or loose translation model, where Joseph as a prophet, seer, and revelator has the authority and the ability to expand the historical narrative. I don’t believe the BOM is historical, for other reasons not addressed in this post. But the more I study and analyze it, like I have in this post, the more I see an extreme level of complexity. The construction of the BOM is a big, wonderful mystery to me.